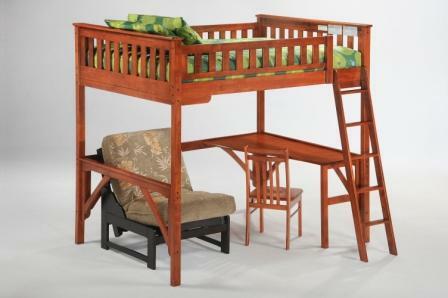 Loft beds come in a variety of styles and are available in either twin or full sizes. From the basic metal loft with desk to the multi-functional wood student loft that features two twin beds, a desk bookcase and dresser. These all-in-one units are great where space is limited and provide all a kid needs to rest, play and stay organized.